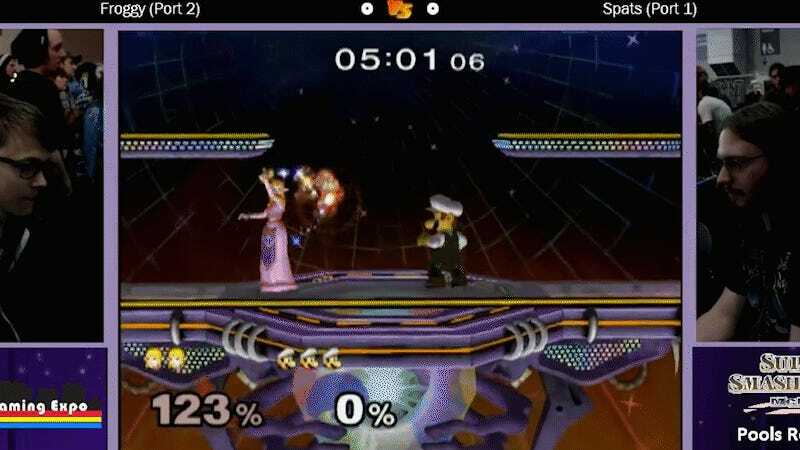 According to SmashWiki, Luigi’s taunt is the only taunt in the game that does damage, dealing a measly 1 percent. It’s the knock-up that’s useful, and used as a set-up for a nice spike upwards, it can be potentially devastating. It’s also incredibly hard to land this move, as it’s fairly telegraphed. But if someone isn’t expecting it, that might be all the advantage you need. It can not only knock your foe up in the air, but also act as an edge guard against unaware opponents. Froggy, the Luigi player, would go on to make it all the way to loser’s round 6 before falling out of the tournament, finishing at 7/8th place.